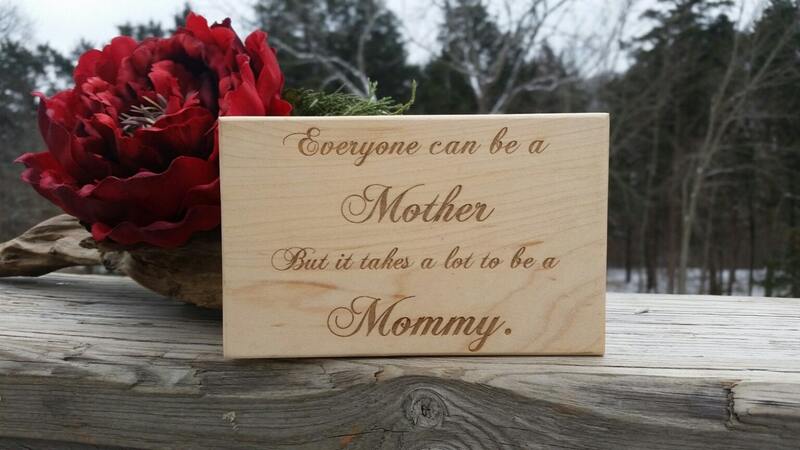 Looking for the perfect Mother's Day gift for your mom or a 1st time mom in your life? Our handcrafted & engraved wood wall art plaque is sure to bring a smile to her face. Want something else engraved on it? Just let us know what you would like at checkout. This plaque will make a great birthday gift, mother's day gift, for your mother, wife, sister, aunt, daughter, secretary, even the BOSS. This plaque is made free standing. Want it with a key hole for wall hanging? Just let us know at checkout. Size: 5 inch long x 3.5 inch wide x 1/2 inch thick.